“WBC” World Boxing Council has confirmed that that they will appear and hold a Meet & Greet with their fans at the Las Vegas Convention Center for the fourth Annual Box Fan Expo on Saturday September 15, 2018 from 10am to 5pm, during Mexican Independence weekend. The Boxing Expo will also coincide with the highly anticipated rematch between Saul ‘Canelo’ Alvarez vs Gennady ‘GGG’ Golovkin, that will take place later that evening. WBC will have merchandise, Fan pictures taken at their special photo booth with the green Belt, interactive games, meet & greet with Top Fighters and boxing celebrities. The World Boxing Council is a Boxing elite sanctioning body and has as its maximum priority to work and protect for athlete’s safety and health inside and outside of the boxing ring. The WBC was founded in 1963 and lead by José Sulaiman who was unanimously elected on December 1975 as president and served in that capacity until the time of his death on January 16th, 2014.His son Mauricio Sulaiman has succeeded to the presidency since then. 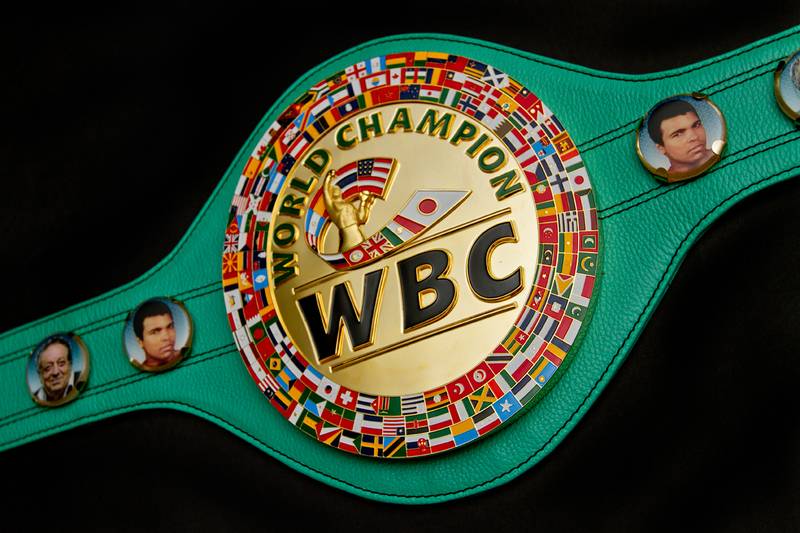 The WBC is now composed by 165 countries from around the world. Don José Some of their greatest champions are Muhammad Ali, Mike Tyson, Julio Ceasar Chavez, Oscar de La Hoya, Sugar Ray Leonard, Floyd Mayweather,and Manny Pacquiao among others. WBC joins WBA, Thomas Hearns, David Benavidez, José Benavidez, Badou Jack, Mia St.John, Jessie Vargas, Erik Morales and Fernando Vargas as an early commitment to this year’s Box Fan Expo..